Japan is a country of some 120 million people. However, the vast majority live in the large cities, such as Tokyo, Osaka, Nagoya and Fukuoka (in fact 65% of the population live on just 3% of the landmass). It is important to keep this in mind when planning your trip and remember that although not free, the highways out of town are your friend. There are times to use the highway system and there are times to get off and it's important to know when. Although toll fees vary, generally it will cost you about $20 to ride 100km on the highway. This may seem quite expensive, but it will save you a lot of time and stress, because the alternative is often to crawl your way through city traffic. 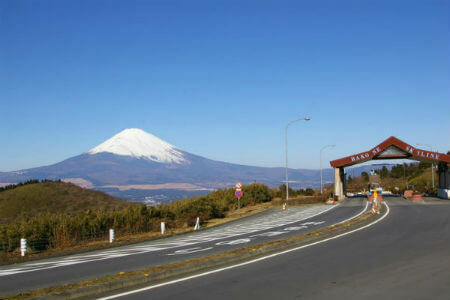 Other toll roads charge for their magnificent views and beauty, rather than for their ability to whisk you out of town. The construction ministry in Japan has been on a spending spree for a couple of decades now and as a result the roads here are extremely well-maintained and it seems that some roads have been built merely for enjoyment, rather than practicality. Fantastic! We love these roads. Once again if you see a scenic pay route marked on your map, it may be worth the $5 or so that you'll need to pay. 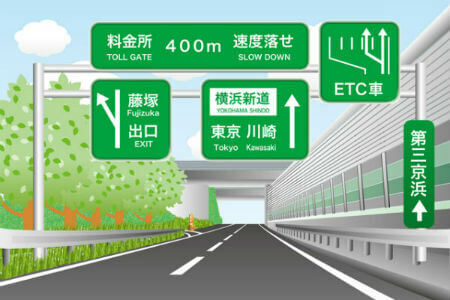 Highway entry and exit is quite easy, signage is clear and exits are well marked. On the major highways you will be given a ticket when getting on the highway and simply pay at your exit point. Some smaller toll roads will just require some change and then you're on your way again. 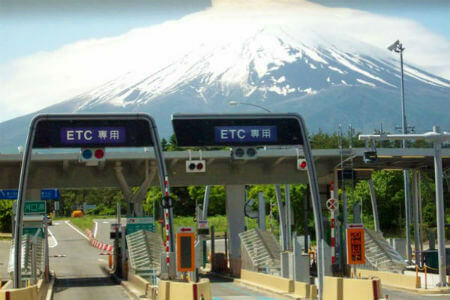 ETC lanes at toll gates are for people who have an ETC card. It is possible to rent an ETC card from us. With this card, in addition to the added convenience, you will also receive discounts on most highways. 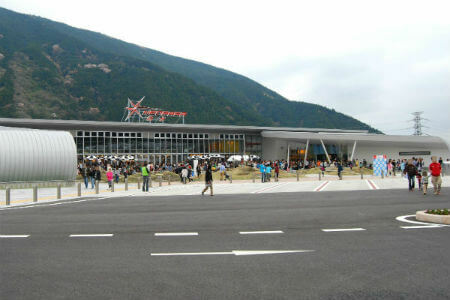 Parking areas or rest stops are found on all the major highways that crisscross the country. They are often more like mega stops than rest stops, providing you with a wide array of services; restaurants, cafes, full service gas stations, toilets, showers and sometimes places to stay and camping areas. You will soon learn to love the convenience and level of service that these rest stops provide. After years of touring in this country we have learned from experience how best to avoid the issue of traffic. As mentioned earlier, Japan is a country of 120 million, most of whom are wealthy enough to own a car or two. So there are certain national holidays, which can throw a spanner in the works of a not-so-well-planned touring holiday, because when that many people decide to take to the road at the same time, it ain' t pretty! We will provide you with specific and valuable advice to best steer around the issue, but keep the following national holidays in mind. The first week of May, called the Golden week holiday period, can be quite busy, along with its evil cousin in August, called Obon week. However, even traveling at these times is possible if you know which direction the masses are headed or if you leave Tokyo very early. If you are unlucky enough to find yourself in a traffic jam, remember that using the emergency lane is illegal and not an option. Splitting lanes is also illegal, however the police will often look the other way. We do need to stress that as it is technically illegal, you may very well be pulled over by the police and fined. Gas stations are almost always full service and they are spread far and wide, so you'll (hopefully) never run out of gas. Pull in and you'll often be met by a service crew in jump suits running around enthusiastically, directing you and your bike into position like royalty. 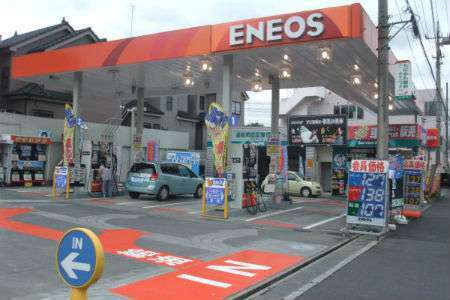 Some useful gas station words include 'Mantan' (meaning fill it up), 'Genkin' (meaning I’ll pay by cash), and there’ll usually be a choice between 'High-oku' (meaning premium) or 'Regyura' (meaning regular). These phrases are about all you’ll need to know. Minutes later you'll be shepherded out of the service station and back onto the road. The gas station experience will definitely bring a smile to your face and will have you redefining the word 'service' on your way down the road. 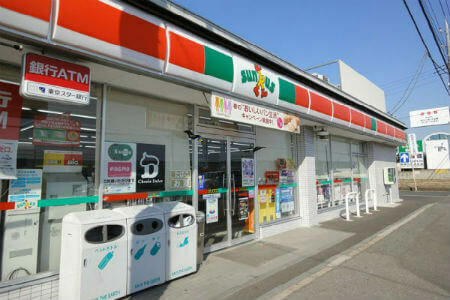 Like gas stations, convenience stores are everywhere. However, what you'll find for sale on the inside may not be exactly what you had in mind. Take a look around. You'll find some quite unique things for sale. 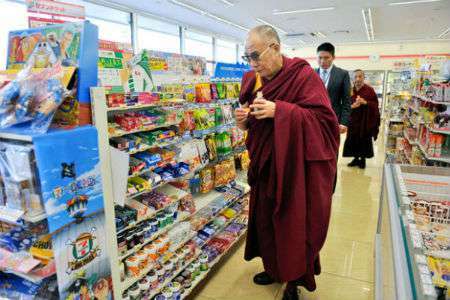 The convenience store generally acts as a useful pitstop, offering cheap meals, snacks, drinks, as well as quality bathrooms where you can freely freshen up without any hassles. The network of ferries around the country is quite extensive and also reasonably priced, so it makes sense to throw in a ferry leg or two. We can't recommend this mode of transport enough if you're planning to explore Hokkaido in the far north or the islands of Kyushu and Shikoku in the south. 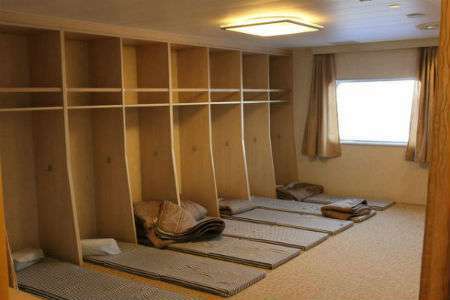 Remember you'll spend money on toll roads and gas out of town anyway, plus it doubles as a room for the night. In fact the ferries are more like traveling hotels than just mere ferries. 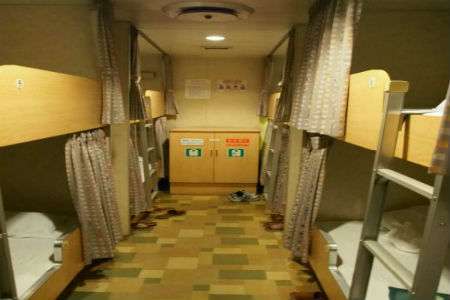 Sleeping areas range from basic to very comfortable and you'll also find a number of restaurants on board, many of which offer all-you-can-eat meal options. Another little treat is the piping hot bath you can relax in. Sit back, soak the muscles and if you're lucky, gaze out the large window and watch Japan go by. All in all it's a memorable experience and a nice way to break up a long bike trip. Ferries to the northern island of Hokkaido (1 person, 1 bike) will set you back 24,000 - 35,000 yen, depending on your choice of accommodation and the trip takes 19 hours. 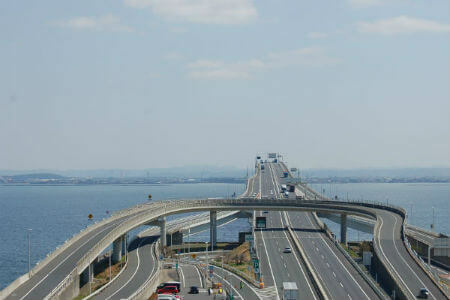 Traveling to Shikoku will cost about the same, and also takes about 19 hours. Most ferries leave port in the evening around 7 or 8pm and the travel time passes quickly. By the time you have dinner, sleep, have breakfast and plan your first day, you’ll already be there. 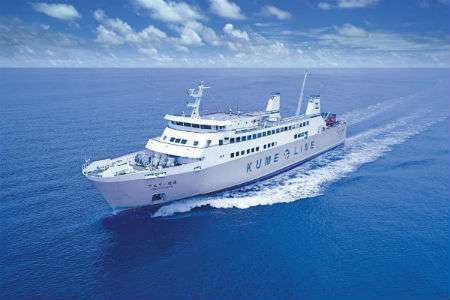 The exception is the trip to Kyushu, which takes 34 hours, so you may wish to take a ferry halfway to Shikoku and then ride south from there. The choice is yours. 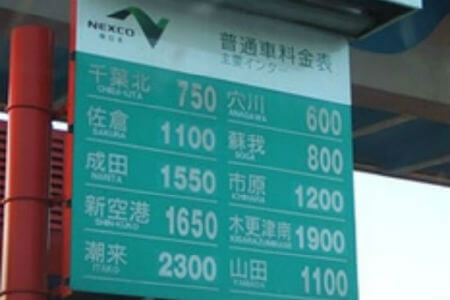 Japan Bike Rentals can help with ferry reservations, which are usually necessary, especially during busier periods.